Ladies and gentlemen, most of what you do using the Internet or your phone is being tracked by the National Security Agency via its PRISM surveillance program. If you thought you could take measures to escape such monitoring, it is too late; the program has been operating, clandestinely, since 2007. It took the heroic courage of Edward Snowden, a former CIA and Booz Allen Hamilton employee with access to information about the full depths of this travesty, to reveal this astoundingly invasive operation to us six years later. Snowden has – at the risk of his own comfort, his income, his freedom, and possibly his life – given us the invaluable knowledge that the world is quite unlike what most of us thought it to be. Glenn Greenwald, the perceptive Guardian journalist and long-time defender of civil liberties, is also a champion of human freedom, dignity, and justice, because of his outstanding work in publicizing these abuses before a worldwide audience. Even I – despite my strong libertarian convictions and considerable skepticism of centralized authority – could not have imagined that virtually all of the large technology companies to whom I had entrusted large amounts of my personal information – Google, Facebook, Skype, Microsoft, YouTube – were participants in the surveillance, enabling the NSA to build covert backdoors into their systems to steal the most confidential possible personal information. From e-mails, to search histories, to credit-card transactions – all of this is within the NSA’s reach; all of this could be used to destroy the reputation and life of anyone suspected of being a threat. It is only by the mercy, or the oversight, or the higher priorities, of our political masters that any of us retain vestiges of the freedom we think we have. Upon finding out about the massive scope of this surveillance, I struggled to figure out what I could do to regain any expectation of privacy that I had even a week ago. If only one or two private companies had “partnered” with the NSA to facilitate the indiscriminate monitoring and data collection, it might have been possible, with a few judicious restructurings of one’s habits, to avoid any services of those companies. But it seems that almost all of the major players on the Internet – the ones into whose hands hundreds of millions of us voluntarily (and, in retrospect, foolishly) entrusted vast amounts of personal data – are participants. Apart from taking the drastic (and, in many respects, self-undermining) step of ceasing to use most of the tools of the Internet and mobile technology altogether, one can do very little right away to insulate oneself from the surveillance, and even if such insulation were possible, the data already collected by the NSA are a sunk cost. It is not clear whether these companies chose to involve themselves in PRISM voluntarily, or whether they were browbeaten into it by the NSA and the Obama administration, as a price they needed to pay for being allowed to remain successful and relatively unhampered by politically motivated persecution. The companies are certainly not helping their case by denying all knowledge of their evident involvement in PRISM, using near-identical phrasing (composed by whom, I wonder?) which only prevents them from explaining any elements of their participation which might have been involuntary. While it would have been supremely satisfying for me to simply disassociate myself from any of the companies implicated in the PRISM surveillance, they are, at present, embedded too deeply into the fabric of our lives. A gradual, evolutionary process will need to occur to enable individuals to discover ways of taking advantage of all the benefits of networked technologies, while preventing the present centralization of Internet activity from ever occurring again. The Meshnet project for creating a decentralized Internet is an intriguing concept supporting this goal. Also helpful are anonymous search engines such as DuckDuckGo, which I have begun using in place of Google. Over the coming weeks, months, and years, it would benefit us all to think of creative ways to avoid the unwanted disclosure of our private information through the centralized Internet behemoths. As for information that we intend to be public, there seems to be no harm in disclosing that anywhere. The NSA and even Barack Obama himself may read The Rational Argumentator and watch my videos without any objections from me; indeed, this would do them much good. But I draw a clear line between the public and the private aspects of my life, and I intend to be the one who draws that line. I am not a conspiracy theorist, but some conspiracies are indeed real, and in this case, the conspiracy theorists were right. Right, too, were those who proclaimed for years that the Obama administration represents a fundamental undermining of basic American values – to which I will add that this administration is opposed to basic human values of liberty, privacy, dignity, and the presumption of innocence. This is not routine political malfeasance; it is the wielding of an overarching apparatus of monitoring – a prerequisite to complete social control – that the KGB of the Soviet Union and the Stasi of Communist East Germany could not have dreamed of possessing. Those oppressors of old had to use actual human beings to monitor political dissidents – which severely limited their reach. The default data harvesting and algorithmic mining of the PRISM program does not require a human being to find spurious “associations” with alleged threats – based solely on combinations of keywords or contacts within one’s social networks. The system works by focusing on all those within a few “degrees of separation” from the central suspects. You could have a phone number that differs by a digit from that of a terror suspect; if someone within that suspect’s network calls you by accident, you might be flagged as a suspect, too. Sheer curiosity about certain subjects, visitation of certain sites, mention of certain topics in e-mails or private video chats and text messages, could get you flagged. It is not a matter of doing nothing wrong and thus having nothing to hide. With this much data, taken wildly out of context as is always possible with algorithmic data-mining systems, any person’s behavior can be construed as having nefarious motivations. Any sufficiently inconvenient individual can be portrayed as an enemy by Leviathan. This is why no American is safe from his own government unless the wholesale dismantling of the PRISM system and any related surveillance measures occurs. An executive order from Obama could achieve this, but it is doubtful that Obama would issue such an order. Massive public outrage, from within and outside the United States, might, however, set in motion the political processes that would discredit this heinously intrusive system. This is no time to cower in fear, to hush up the expression of one’s honest thoughts because one is unsure about the consequences. Now, more than ever, it is essential for every one of us to make full use of our inalienable First Amendment rights. The extensive surveillance apparatus in the hands of the administration can be readily deployed to create actual totalitarianism with the snap of a finger. For a small-scale proof of concept, witness the frightening lockdown and militaristic mobilization that occurred in Boston in the wake of the Tsarnaev brothers’ bombings – which, as must be emphasized, the same apparatus of total surveillance and police-state response failed to prevent despite repeated warnings from Russian intelligence. And yet I know that I am not an enemy. Neither are you. Most of us are peaceful, productive citizens of purportedly free nations. We wish harm to no one and wish only to lead our lives in peace, prosperity, and self-determination. I – and hopefully you – exercise the inalienable basic human right of free speech, a right enshrined in the American First Amendment, a right for whose defense the American Founders pledged their lives, their fortunes, and their sacred honor. Edward Snowden knows what it means to make such a pledge, and what its consequences can be in a world ruled by might rather than by right. This is why it is imperative that he be pardoned, if charged, for any alleged “crimes” that the U.S. government perceives him to have committed. If you do nothing else, please go to WhiteHouse.gov and sign the petition requesting his pardon. This is, after all, Constitutionally protected speech. If the administration begins to persecute those who signed the petition, then it would be clear that this country is too far gone. Moreover, if Edward Snowden should meet an untimely end, from whatever apparent cause, I would have no doubts of the origins of his demise, and it would also be clear that this country is too far gone. But I do not believe that this country is too far gone, yet. We may be teetering on the brink of totalitarianism, but I have hope that the fundamental decency of the American people – and the residual adherence in this country to founding American principles – will overcome the depredations of the current American government. 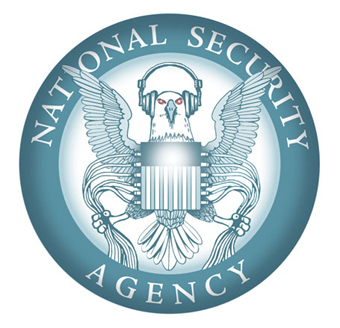 Another vitally important project that calls upon the participation of as many Americans as possible is the class-action lawsuit spearheaded by Senator Rand Paul against the NSA PRISM program. (You can sign up to join the lawsuit here.) I have been critical of Rand Paul’s stances (particularly his endorsement of Mitt Romney) in the past, but on the issue of NSA surveillance, he is perhaps the most powerful ally that friends of liberty have within the United States, and we need all of the allies we can get right now. If Rand Paul can help to dismantle the Orwellian apparatus of the NSA, then any of his past errors of judgment would pale in comparison. Nearly forty years ago, Richard Nixon lost his office because he authorized spying on a few political opponents. Those were the days! Barack Obama and his administration, often with the explicit support of many Members of Congress, have for years authorized and condoned spying on hundreds of millions of Americans and even more citizens of other sovereign jurisdictions – individuals over whom the United States has and ought to have no legitimate power whatsoever. What will be the result of these disclosures for Barack Obama’s tenure in office? The principles of justice suggest strongly that Obama should resign or be impeached and then removed from office, for his transgressions in the realm of surveillance alone are orders of magnitude greater than those of Nixon. Along with Obama, all of his senior executive officials should resign, in addition to senior Members of Congress from both parties – including Lindsey Graham, John McCain, Dianne Feinstein, Mike Rogers, and Peter King – all of whom have expressed unequivocal support for the violations of our Constitutional rights via the PRISM program, and some of whom have even stated that Edward Snowden is guilty of treason. Yet these politicians are the ones who have violated their oaths of office to support and defend the Constitution of the United States against all enemies, foreign and domestic. I do not mean to single out any one wing of the two-party establishment which has created the Orwellian security state in the U.S. after September 11, 2001. Leading Republicans, including many who held prominent posts in the Bush administration, deserve plenty of the blame for laying the groundwork for the PRISM system. What is needed is not a mere change in political parties (for that achieves nothing), but a change in the fundamental understanding of the role of government, held by those in government. But will the impeachment or voluntary resignation of Obama and some of the other most powerful people in the United States – indeed, in the world – realistically occur, or will they be able to successfully portray their completely unbidden intrusions into all of our lives as being “for our own good”? Will they frighten and bamboozle us into believing that we need their monitoring of our lives, which we know to be lived innocently, in order to protect us from the threat of terrorism which, according to Ronald Bailey of Reason Magazine, is four times less likely to kill any of us than a lightning strike? With a surveillance program this pervasive – one so clearly endorsed by officials from both parties, from the very top down – it is unlikely that the powers that be will merely decide to sacrifice a few of their subordinates and let them take the blame for this gross violation of the privacy of many (perhaps most) human beings. It appears that the American elite has been backed into a corner; either it will vigorously defend the PRISM system as a united front – or it will need to capitulate to human decency and acknowledge the gross moral failures involved at the highest levels. The outcome will depend on how much public outrage arises. Are Americans going to passively roll over and accept an Orwellian level of surveillance as a fait accompli, or will they let their profound displeasure be known? I, as an American citizen, do not approve of this intrusion into my personal life by the very elected officials and their appointees who are supposed to function as the guardians of freedom. I urge all Americans to use peaceful methods of speech, petition, and creative advocacy to express their absolute disapproval of PRISM. Moreover, I hope that foreign governments and their citizens will send a strong message to the Obama administration and Congress that the monitoring of innocent persons outside America will, likewise, not be tolerated. Whether or not PRISM will continue is the litmus test for liberty in the United States, and perhaps in the remainder of the world as well. The outcome of this series of events will determine whether might or right will shape the future of humankind.